Our biggest regrets are not for the things we have done but for the things we haven’t done. As a financial advisor, I’ve heard the line “sana noon ko pa ito sinimulan . . . ” (I wish I had started doing this much earlier) countless times. And people say this not because of their age or how long they have worked, but because they’ve had opportunities before but chose to spend their money on other things. When it comes to money matters, here are some of the things we may regret at one point in our life. Excitement, because they can now start earning their own money and spend it without anyone questioning their decision on how to spend that money. And by that time, most of us are ready to take control of our financial destiny; saving most often becomes an afterthought as we pursue our wants in life. What’s the value of saving early? For one, when it is done early and regularly, it starts a good habit. Saving can also give one a sense of fulfillment—that feeling of being able to accomplish something that can help one’s future. 2. Not investing early. It’s ironic that many love the idea of investing and making extra money but only few actually do. Until the past few years, when investing boomed because of proper education and a very bullish market, investing has been thought to be a short-term activity. Many would invest and then withdraw their money as soon as the investment has made some profit. The sad part is, many would not invest again. What’s the value of investing early? Well, TIME is the most valuable factor when it comes to investing, not the amount of money or the frequency. A classic proof of this is the case of a person who invests every year for the next 10 years starting at age 20, and gains more profit than someone who continually invests for 20 years but started at the age of 35, assuming they are investing the same amount yearly. 3. Not getting insurance early. Insurance is one of the more tricky products to have. It’s something you should want to put money in at a time when you don’t really need one. But by the time you realize you need one, it has become either too expensive because of age, or you’re not eligible anymore because of an existing condition. What’s the value of having insurance at an early age? Well, it is less expensive and it gives one a good head start in accumulating enough coverage before becoming a breadwinner. 4. Overusing credit cards. There will always be a tipping point when one suddenly realizes that abusing the credit cards can be a short-term pleasure but a long-term pain. Don’t get me wrong. Credit cards are a good tool for money management, with perks that can help you save, too. But overly using it can be a problem. What’s the value of managing the use of credit cards? Debt can be a pain, not just mentally, but psychologically and emotionally as well. The value of keeping your credit card use in check is to relieve you of such psychological, mental and emotional baggage that comes with paying off debts. What I have learned over the years is that regrets can give us a good learning experience as we move forward. The important thing to remember, though, is that we don’t stay in the state of regret but strive to figure out a way to go forward. 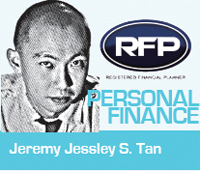 Jeremy Jessley Tan is a Registered Financial Planner of RFP Philippines. 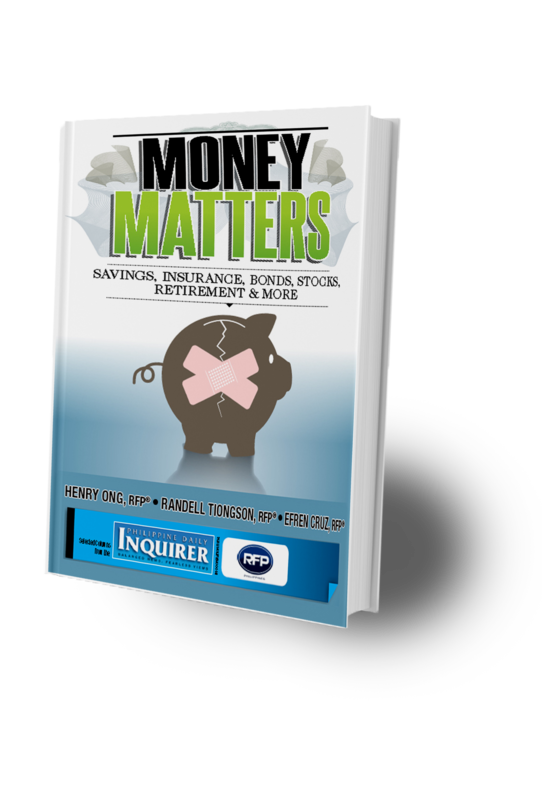 He is currently a Wealth Portfolio Manager for one of the leading insurance companies in the Philippines.